The Rock Solid Master Clamp is an indispensable piece of gear designed to mount arms and gear to an array of round or flat surfaces. 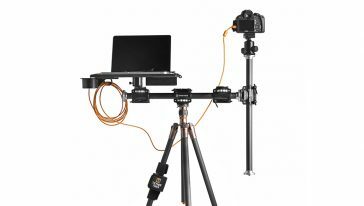 In addition to securing Tether Tables, AeroTab Universal Tablet System, and Rock Solid VESA Local Monitor Mount for Stands and Tripods, it will hold just about anything else including cameras, strobes, flashes, umbrellas, cross bars, even other Rock Solid Master Clamps. 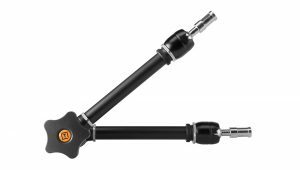 Coupled with the AeroTab Universal Tablet System, the Rock Solid Master Articulating + Clamp Kit allows for mounting an iPad to a tripod leg, light stand or other flat or round surface. The collective system will work in many additional uses such as mounting to an automobile, wheelchair, or exercise equipment to name a few. 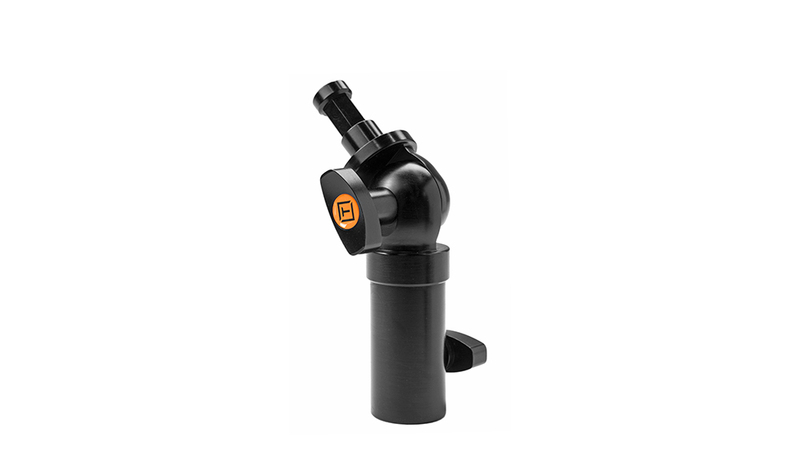 Clamp features Baby 5/8″(16mm) Socket for use with of a wide variety of attachments including the Rock Solid Double Articulating Arm, Camera Platform, Rock Solid Aero Elbow, Baby Ballhead Adapter and more.